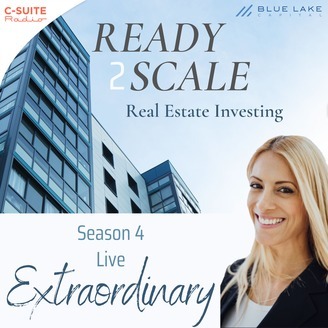 Ellie Perlman, a real estate investor, brings you the most amazing, intriguing and unbelievable stories about real estate investing. Listen along to the BOLD adventure Kyle and his Partner took in purchasing and revitalizing two buildings, entirely on the brink of DESTRUCTION. Challenged with issues from onsite squatters, crime, and serious structural repairs, OVERBUDGET by $100,000, Kyle shares how the value of learning through FAILURE can still ultimately lead to SUCCESS. 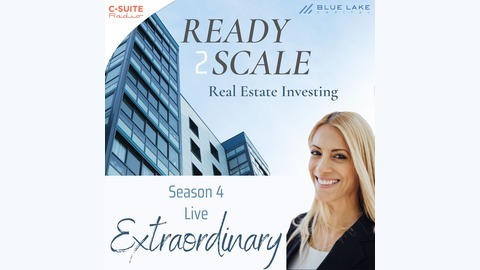 In this episode, you will learn how what seems a disastrous 22 commercial dumpsters worth of GARBAGE can actually lead to not only the REVITALIZATION of an investment, but the PERSEVERANCE needed to win! Kyle summarizes his key takeaway from this lesson: If he'd had a conversation with himself 20 YEARS AGO, he would have focused on PERSONAL WEALTH through multifamily real estate, as opposed to being career focused. EVEN when it's HARD. This episode will TEACH you valuable lessons from those that have gone before you, and INSPIRE you to LEARN and THRIVE as you work through challenge. Kyle Stevie’s interest in real estate began when he spent a year living in the Yucatan Peninsula, Mexico and he listed retired haciendas for local owners. Upon returning to the States, Kyle began working for Total Quality Logistics. During his 15 years there, he has watched the company grow from a $30 MM year company into a $3 B giant in the freight brokering industry. Kyle is a founder of Sparen Capital with Joe and Ben Stevie, which helps accredited investors increase their real estate holdings while avoiding similar obstacles that Kyle has encountered.